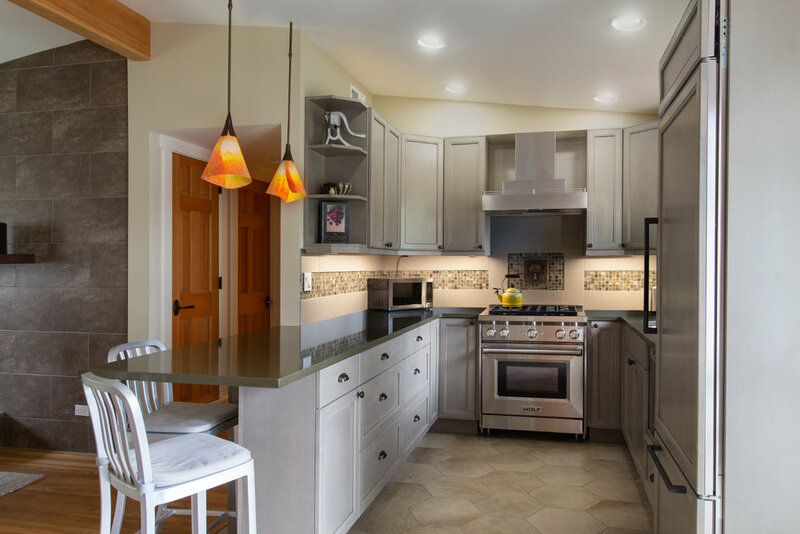 Our inspiration throughout this remodel was the client. She has owned the home for 25 years, although has not lived there for the last 15 of those. Her life circumstances had changed over that time, as had the home’s condition, so there was much about the home that did not reflect or support her current and future needs. 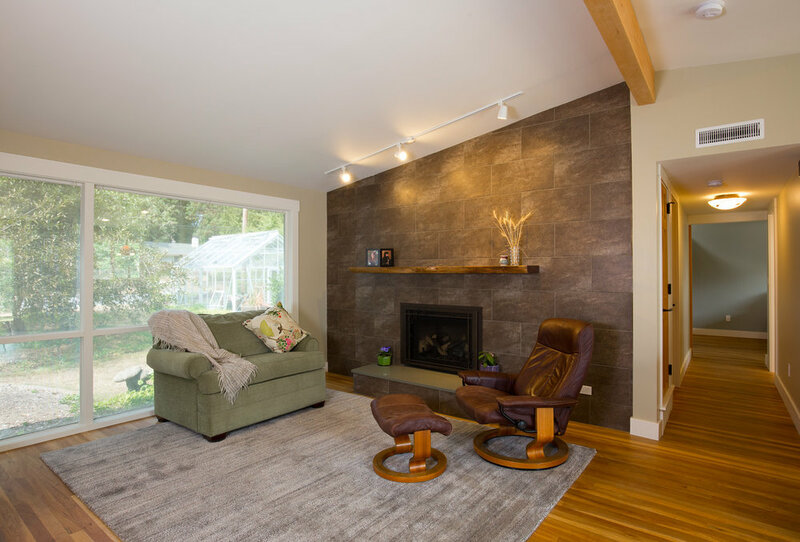 Rather than putting the home on the market and searching for a better fit elsewhere, she had a strong desire to re-imagine and remodel the home to make it ideally suited to her. We often talk with our clients about Aging-in-Place strategies as an important component of sustainability. While many of these strategies are practical and functional, there is also an important emotional and psychological dimension to this design approach. A remodel is as much about nurturing personal growth and change as it is about improving function and performance. 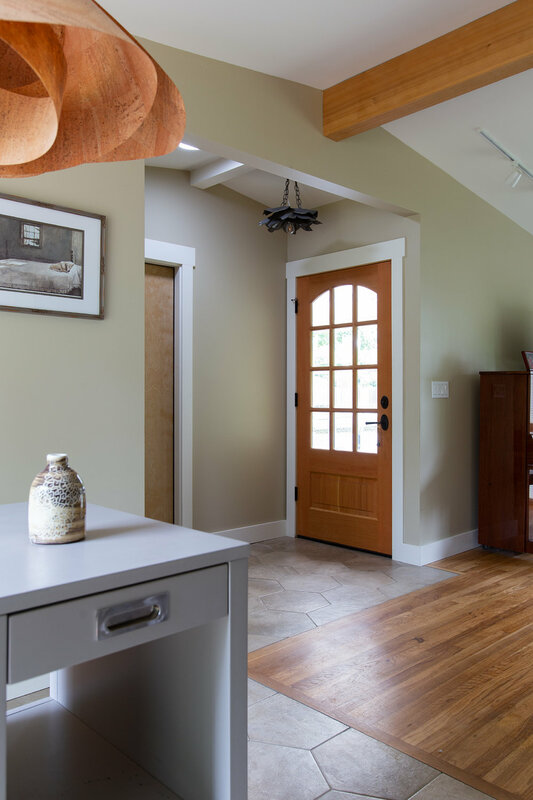 Our client understood the importance of not only making structural and functional repairs, but of infusing the home with new life and beauty to create an inspiring space that could support her creativity and well-being. The client’s passion for gardening and the outdoors led many of our discussions about the eventual look and feel of the home. 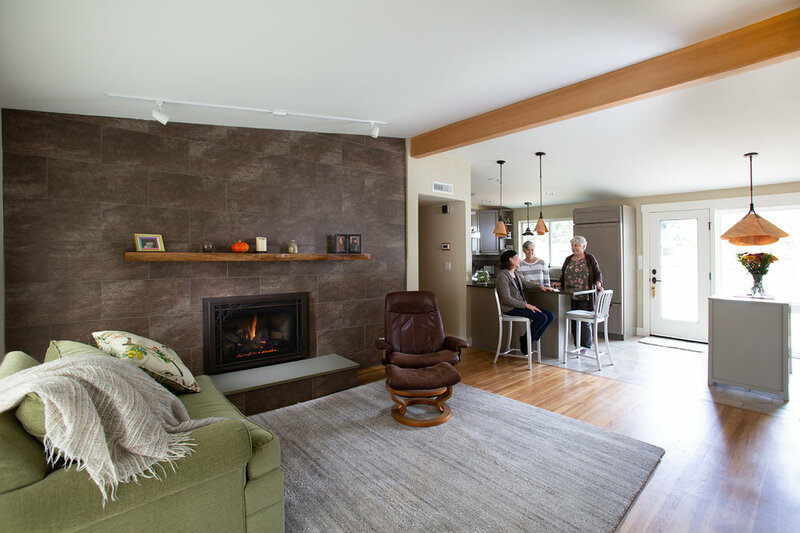 Our design focused on increasing daylighting throughout the home, enhancing connections to the outdoors, and incorporating locally-sourced sustainable finishes throughout. 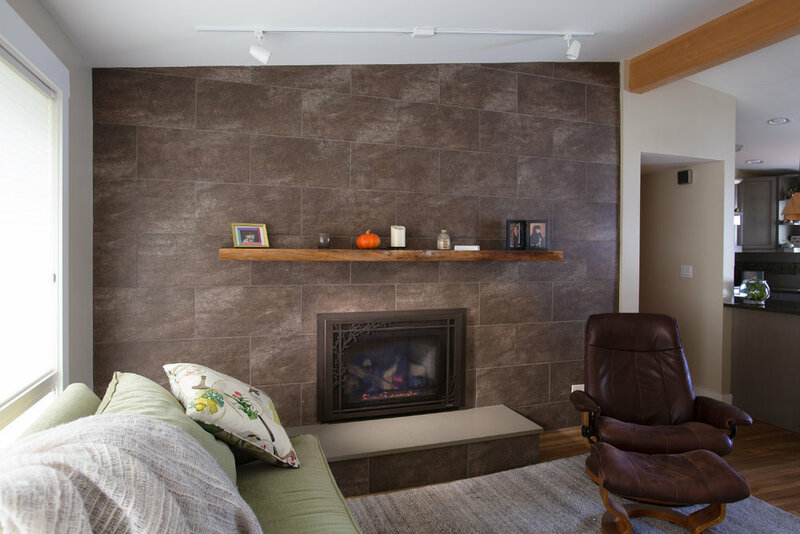 As we worked with the client to develop a palette of finishes and materials for each room, we found ways to bring elements of nature into every aspect of her home. Structural and functional issues included removing asbestos that was present in the floor, replacing failing foam insulation in the walls and old insulation in the roof with mineral wool insulation, opening a flat ceiling up to the rafters, repairing a sinking corner of the foundation (one of those remodel surprises! ), and installing new energy efficient windows and doors. The client played an active and enthusiastic role in working through design and finish choices with us, and really seemed to thrive in the process. During construction, she would often send us a snapshot of the day’s changes with a note of appreciation, such as “I think I hear angels singing!” or “my house is giddy with pampering!” It was such a joy to be a part of this transformation.